Here is the new puzzle type called "Find the Pair". This is the first puzzle of this type which is dedicated to Stationery item pencils. 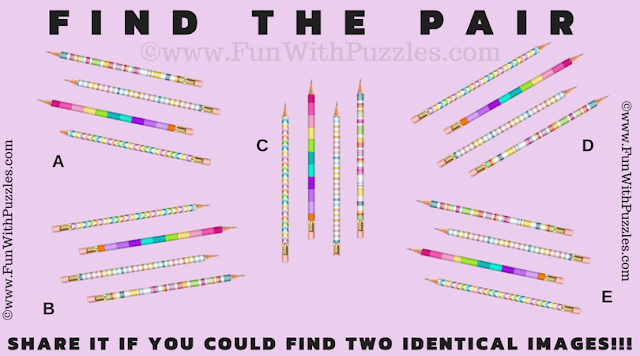 Here is the puzzle picture which contains five sets of similar looking pencils. There are only one pair which is exactly alike. Other three puzzle images differs from these pair. Can you find the pair? Can you find the Pair?